E-books! Really? What exactly is an e-book? An e-book is an electronic version of a book that is read on an e-book reader such as a Kindle, a Nook or even an iPad. 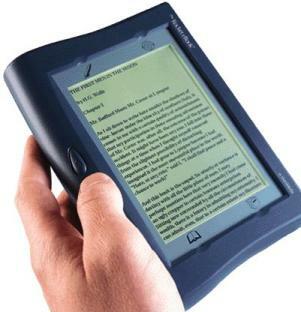 These are electronic devices that are specifically made for e-books. You purchase the e-book and download it to your e-book reader and then read your book. If you get a virus or if someone out there in cyber land decides that you do not need that particular book anymore, they can delete it at will. You will not be able to prop up your table with your book if it is in electronic form. You will not be able to loan it to your friend when you are done or even trade it for a new book at your local book trade store. So then why are e-books outselling traditional hardcover books? They are not outselling them by a small margin either. According to recent numbers from Amazon over the past three months there were 100 hardcover books sold for every 143 e-books that were sold. You might be able to blame this on the price of the Kindle dropping from $259 to $189, but that is still a bit high on the price, just to be able to read something which you will probably not ever read again. Think about it like this though. At first there was the phonograph, then came the 8 track player, after that we had records, cassette tapes, CDs and now MP3s. Everything progresses including the written word. It seems like the written word just progresses at a slower rate than music does. First there were cave drawings and hieroglyphics, then scrolls, then books and now apparently the new horizon for the written word is the e-book. Please keep in mind though that all of the numbers mentioned above included only hardcover books and e-books that were purchased. If free e-books were taken into consideration then of course the numbers for e-books would have been considerably higher. However, conversely if paperback sales had been taken into account, then the numbers for traditional books would be considerably higher too. A lot of people tend to wait until the book that they want comes out in paperback because of the savings over hardback books. Either way, the numbers would have been skewed if either of these factors had been taken into consideration.